Find out how to export and print your call sheet in PDF format. On your Preview page, click the More icon, then click Download PDF. After clicking the download button, your download will begin generating automatically. In the dialog box, change your file name and set a destination and click Save. Tip: File attachments and downloads are only available when subscribed to the Indie plan, Professional plan, or Studio plan. How do I save the call sheet without sending? 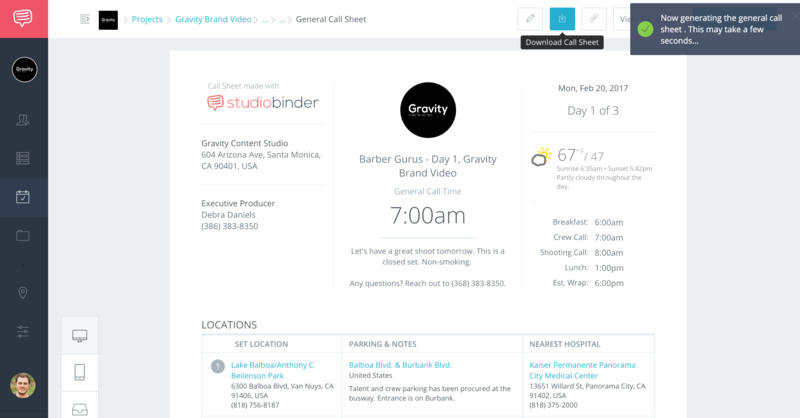 Currently, the only way to save a call sheet would be to upgrade to our premium plans that offer Call Sheet functionality. Can I print in legal size? To print in legal size, simply change it from letter to legal in the printer dialog menu. How do I batch export all of my call sheets? 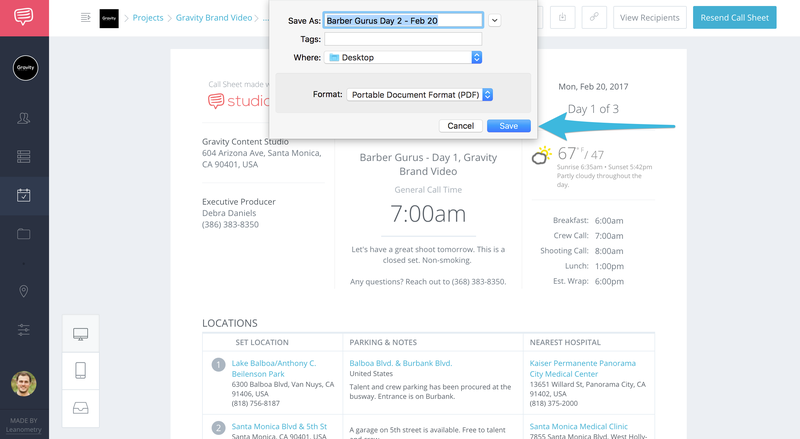 Currently, StudioBinder does not provide a way to do a batch export of all previously delivered call sheets.